I'm such a sucker for things Swatch. I'm already sold on the watches. 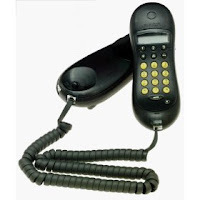 When I found out that they also made a line of telephones in the 1980's, I just gotta have one. And so I did.